Mornings are detox time for me. I like to drink plenty of fluids to flush out the toxins in my body. I first began by drinking water with one whole squeezed lemon juice in the morning, then proceeded with adding cucumbers and then mint. It worked well, however, I found that I could easily just sip on it throughout the day, so I wanted to start by morning with something more. I journeyed to juicing vegetables – spinach, carrots, ginger, lemon, celery, and kale. However, that was too much work for times when I had to rush out the door! Because, when juicing, you have to consume your juice fresh. After many test and trials, I found my perfect balance! Before bed, I would squeeze half a lemon’s juice into water and add sliced cucumbers and sliced raw ginger. Then in the morning, I would take the sliced cucumbers and ginger out and add in the one power ingredient – wheat grass powder! This allows me to have my morning dose of greens without the fuss! Now, when you hear wheatgrass, some of you may furrow your eyebrows and be skeptical of the taste. Wheat grass powder generally does not taste very good. I would describe it as a raw grass or matcha taste. Mixed with the lemon cucumber ginger water I prepare, it tastes a bit like unsweetened lemon matcha tea. I generally don’t like adding sugar or sweet things in my beverages. However, I believe adding some honey, brown sugar, or stevia will help soften up the taste. For me, even though I’m not the biggest fan of the taste, the pros of drinking it out weighs the simple matter of how it tastes on my palate. 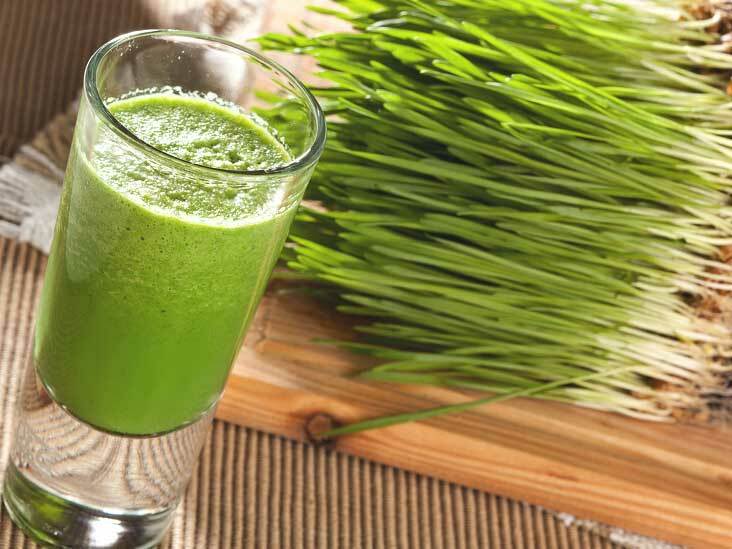 Besides the boost of energy, wheat grass boasts many other health factors. If you have any type of digestive disorder, drinking wheat grass will help improve digestive system function and prevent constipation. It also helps with bloating as well! It contains about to 70% chlorophyll! 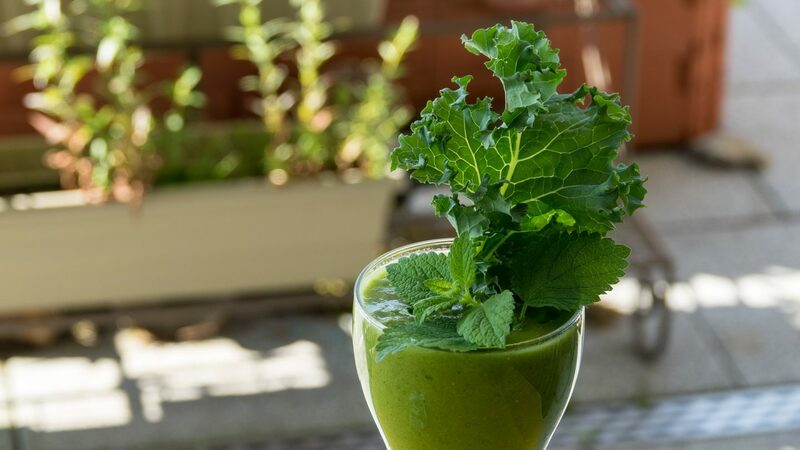 Foods with chlorophyll are linked to preventatives against cancer, purifying the liver, neutralizing toxins in the body, and improving blood sugar problems. It is also linked to help slow down aging process. Antioxidants help protect the body against unstable molecules that damage healthy cells! Wheat grass is an excellent source of vitamins A, B- complex, C, E, I and K! Wheat grass powder is scientifically proven to contain a higher level of antioxidants than juicing fresh wheat grass. Drinking wheat grass is said to help with acne and scars healing and will help with skin conditions as well, such as eczema or psoriasis. If you’re curious to learn more about the benefits of wheat grass, you can read 50 reasons to drink wheat grass every day here! Below is a simple recipe of my power drink recipe condensed! Step 1. Combine Half Lemon’s juice, cucumber, and raw ginger in water. Let soak in fridge over night. Step 2. Add 1 scoop wheat grass powder in morning. Option to add honey for better taste. Stir well and drink first thing in the morning on an empty stomach. That’s it! Simple right? Try this for a month and you’ll start seeing results! If you try it consecutively and persistently for three months, you will start reaping even more benefits as it takes a while for it to sink into your body’s system! If you’re curious, THIS is the wheat grass that I use and have been using for about three years now. I get it off Amazon easily and it’s organic and worked well for me. How about you? What do you drink every morning as an energy booster? Would you like to try this drink? Write back and let me know! Can’t wait to hear more from you all! This recipe sounds really delicious. I’m a big fan of cucumber drinks. I will have to try it! I am going to have to try this.I have never tasted wheat grass before but with all the benefits you mentioned now sounds like a good time to give it a go. Thanks for the idea. This morning detox drink looks so good. I bet it was delicious as it is healthy. I’ve never done a detox drink in my life because I’ve never been super into health. I’ve been reading more into how to get healthy and I see detox drinks all the time. I’ll have to try some different kinds to figure out what I’ll like. I keep meaning to start my day with lemon water, and miserably fail because the coffee pot is on a timer. LOL. Fantastic idea about doing it the night before, and I love the ginger add in. I’m not a ginger fan, but the benefits outweigh the taste for me. Honestly, I’d rather just eat wheatgrass than ingest ginger, but I’m a fan of the honey idea. Thanks! I have been racking my brain trying to find a good detox drink to swap with my coffee for a little while. This sounds like it would be perfect. I really like that recipe idea! I tried juicing for a while, but it was too much work to prep and clean everything in the mornings. I have some wheatgrass seeds, so I might try growing it again! I would give this a try! Normally I start my day off with lemon water, but this looks tasty. You’re right, wheatgrass has never gone down easily for me so I might have to add some honey. Thanks so much for the recipe! I’m going to try it this weekend. 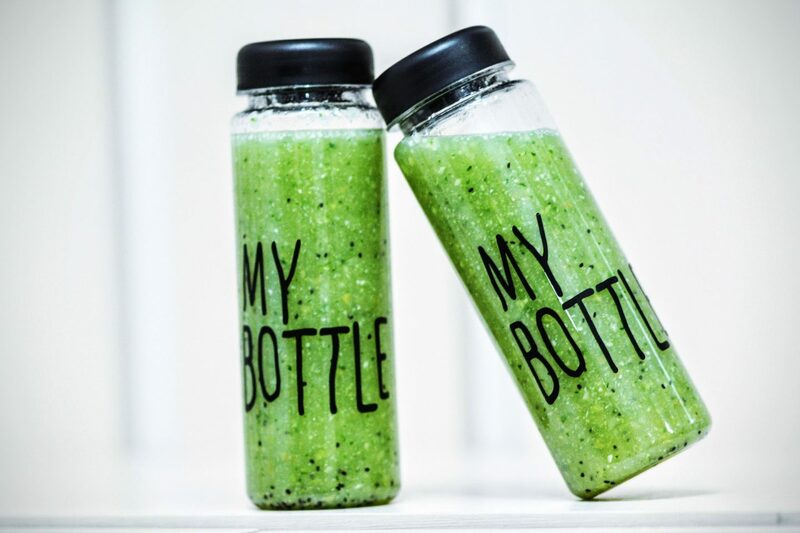 This morning detox power drink looks delicious AND nutritious. I’d love to start out Monday morning with this fabulous power drink. That must be nice to get that energy boost first thing in the morning. I have no energy, so I might have to try that. Wow, this sounds like a great combination to start the day! I’m going to have to try this instead of coffee to see if it helps my days run smoother! Now that is how you start your day! This gets the engine going for sure! I love wheatgrass and it is so great to start your mornings with greens. They totally energize you. Antes yo también bebia una bebida detox antes del desayuno, creo que tengo que volver a retomar esa costumbre. I love detox recipes like this. Im actually looking for something new to try. Thanks for sharing dear. This is an ultimate and very powerful detox drink which provides plenty of health benefits. The recipe seem awesome, Ophelia. Can I use agave syrup instead of honey? Great article. Really enjoyed reading through. 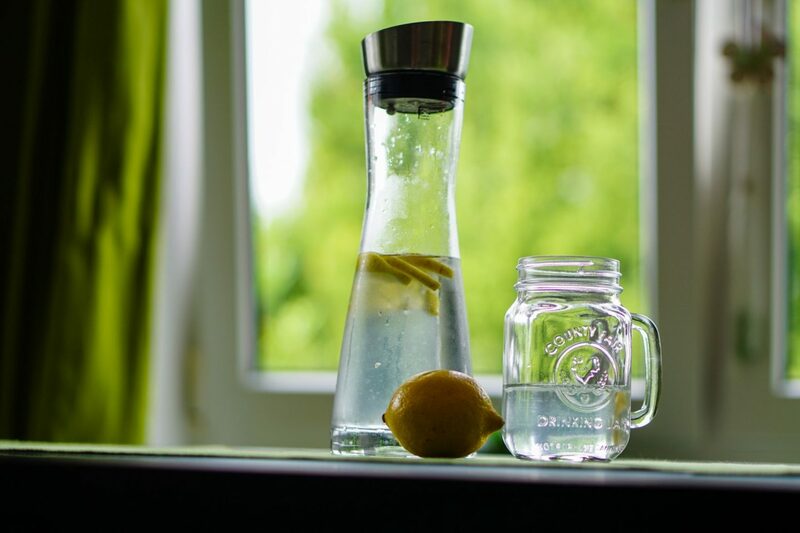 lemon water is totally refreshing and I totally agree with you. Still my morning never starts if I dont have my cup of tea blame my mum hehe. I would like to try some of your recipes too! eating ginger is not my favorite thing but I love ginger essence in sweets and drinks!